i thought i had better do a post! i “recently” took my kids fishing. they had said that they wanted to do something for my up coming birthday, so i suggested that we go somewhere together, as this would be the best kind of ‘present’. firstly, we sorted out all the tackle i already own. lucky we did, as two out of the three rods i own were broken! the reels were fine. i had forgotten how much tackle i owned, so i didn’t have to get any new hooks, floats, etc. i also had some boilies left. obviously with the rods in the state they were, a visit to the local tackle shop was in order. i purchased a new landing net pole, a new rod, groundbait, maggots, extra line. we also went to the post office to buy a fishing license. i also brought a few bits of food for a picnic. we returned home and got all the things ready and we left. we had decided on fishing at ‘Gwenere Pools’. it has three lakes- a specimen lake and two smaller carp lakes. it is a few miles just outside of Newquay. unfortunatly, on arrival we found out that the two smaller carp lakes had matches on. so we fished the specimen lake. we pitched the tent and set up the new rod to fish. 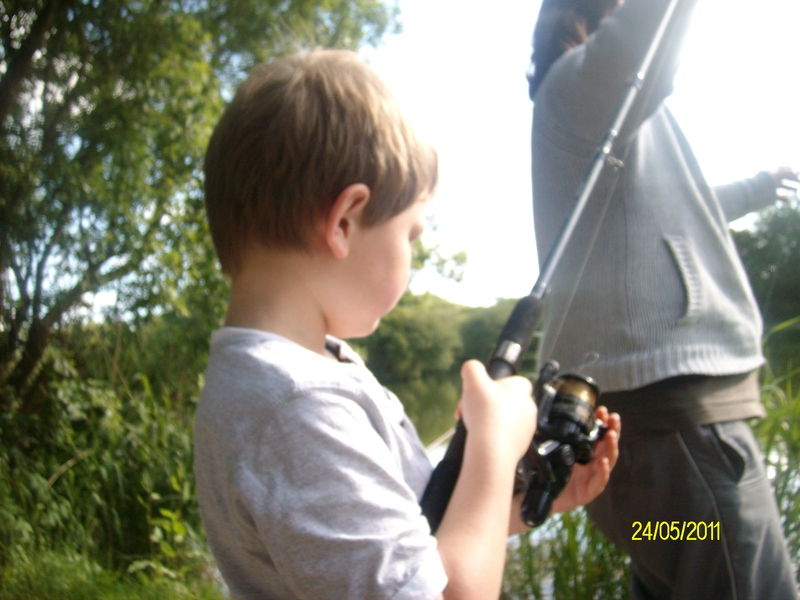 it wasnt long before my son caught his first eel! 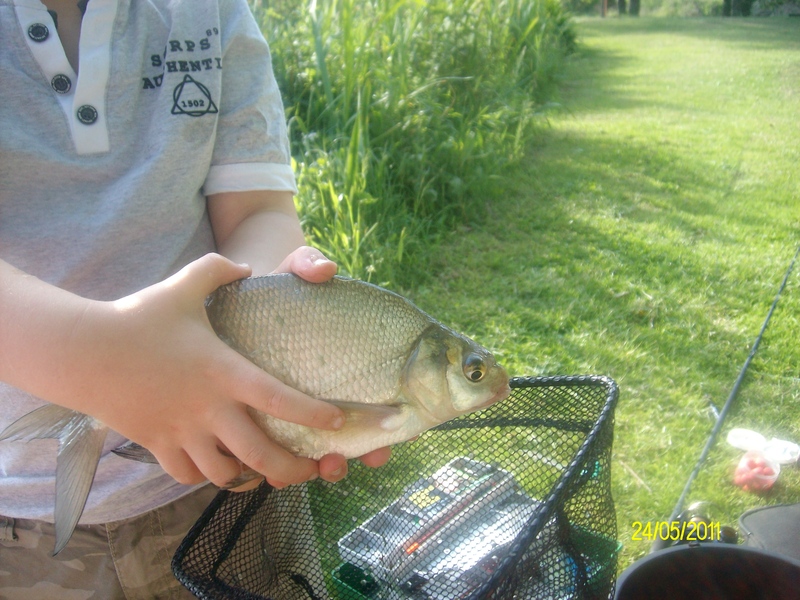 this was followed by a large roach, 6 smaller roach and then a decent size bream. the eel was the hardest fish to land- it took about 10 minutes. i cant say it was a cheap day out- because it wasnt- but it was a great day. This entry was posted in hobbies, living life, my life, struggles/ contact with my children and tagged cornwall, happy, kids, my children, my kids, my life, smiling, v.v. happy. Bookmark the permalink.